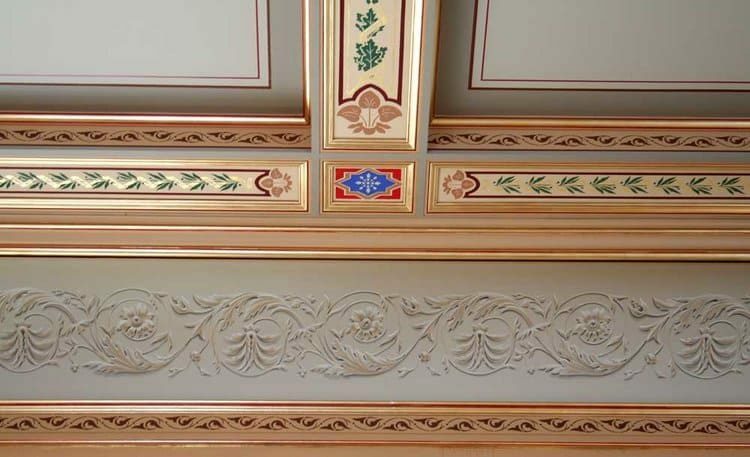 New Hampshire Residence Restoration | John Canning & Co.
Canning Co. designers created new decoration schemes for wood and plaster surfaces in this New Hampshire residence that included replicating the acanthus leaf frieze with grisaille painted decoration. 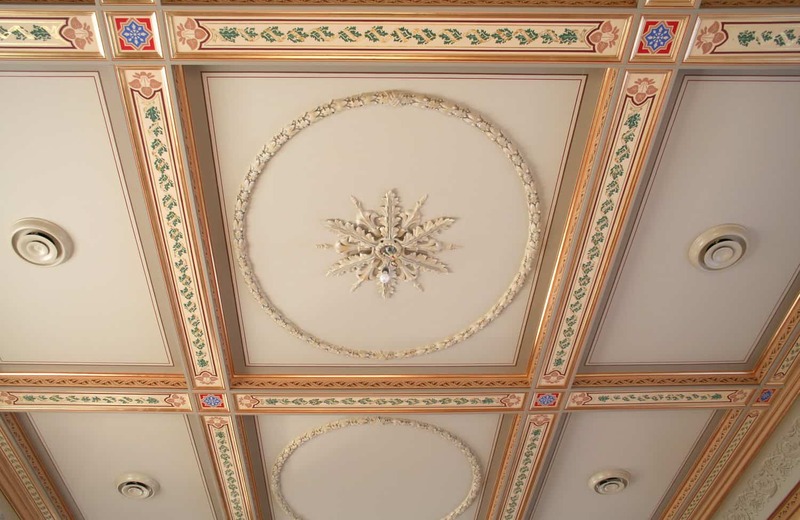 Canning Co. provided decorative painting services for both wood and plaster surfaces at a private residence in New Hampshire. Work included the design and execution of decorative finishes, both stenciled and freehand, on the ceiling and acanthus frieze. 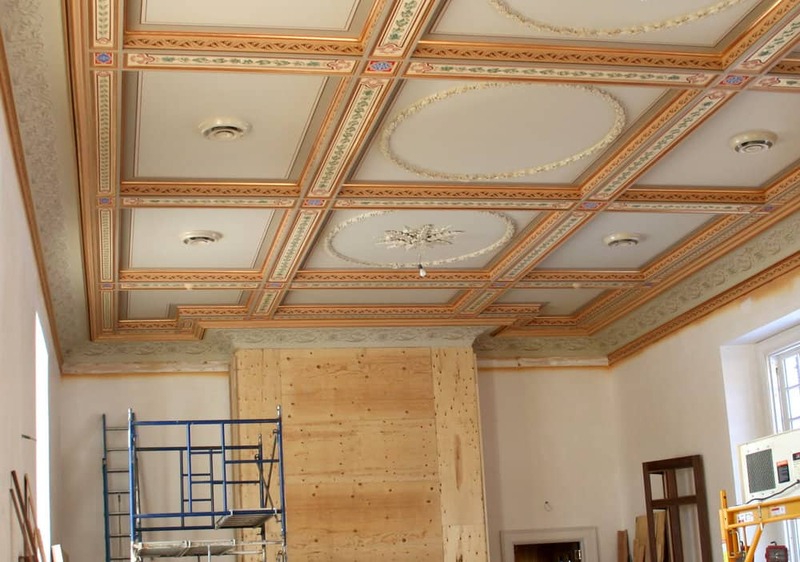 This work incorporated color matching and mock-up renderings. Final decorative painting design on frieze included painted grisaille acanthus leaf scroll.